As part of Minnesota’s diverse park system, Perham has many different types of parks available for activities of all kind. Whether you are looking to throw down a blanket for a picnic near the water or watch your kids shred some pipe in the skate park, there is a spot waiting for you. The various parks include volleyball courts, baseball and softball fields, skate park, memorials, playgrounds, fairgrounds, public swimming area, gun range, and more. Here is a rundown of the parks available in our area. 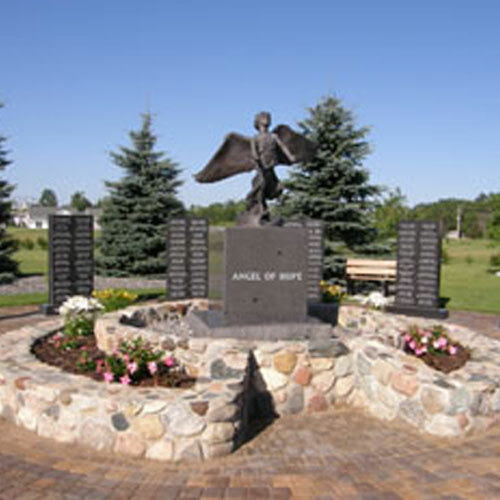 Angel of Hope Memorial Park is located at the corner of Third Ave and Sixth Avenue NE in Perham. The Park was created for the purpose of bringing together grieving parents, siblings, grandparents and others who mourn the death of a child. Granite Memory walls circle the Angel with each wall containing the names of children that will be remembered forever. For more info email: gertz56@hotmail.com or call Brenda at 218-234-1456. Arvig Park, located on County Road 51 on the north side of Perham, was named after Royale Arvig, a Perham businessman and former Mayor of Perham. The facilities include softball and soccer fields, volleyball sand courts, tennis courts, Little League fields and bike paths. The most recent addition is a Frisbee Golf Park, which is located at the south end of the Park near the tennis courts. Parking is available at the grass field off Third Avenue NW and Sixth Street NW. On the east side of Arvig Park on County 8 is the Pioneer Grounds which hosts the Pioneer Festival and Black Powder Rendezvous. The walking and bike path makes a full loop around the park and the expansion to the golf course – a distance of more than 3 miles. Boy Scout Park is located on Little Pine Lake, off County Road 8 North approximately three miles from town. The park is a wooded area that the Boy Scouts use for activities. The Turtle Race Park is located next to the City Hall on East Main Street and is used every summer for the Perham International Turtle Races. The tree, grassy area, flowers and benches also make it a good resting spot for vacationers and shoppers. Turtle Races are held each Wednesday from June through August from 10 am to Noon. This residential park is located on the northwest side of Perham on County Road 51 to Pine Cone Lane and contains play area and playground equipment. The fairgrounds are located on approximately 32 acres in Perham. The East Otter Tail County Fair, a four-day event held during the last half of July, has an agricultural focus with a strong emphasis in 4-H and FFA activities. On average, the fair, with an approximate annual attendance of 30,000, features four nights of entertainment including local and name bands, a demolition derby, a tractor pull, a mud run, and beer gardens. The East Otter Tail County Fair Board is proud of its yearly event, and its service to the local community. 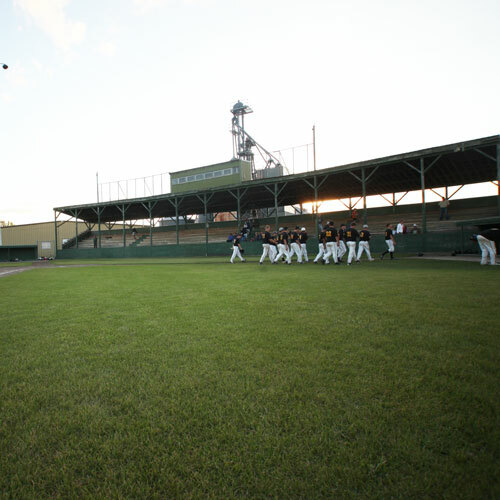 During the remaining year, the fairgrounds hosts a variety of other events such as the annual Antique Car Show and numerous baseball tournaments. During the winter months, the fairgrounds provides winter storage for recreational vehicles and boats. For more information on the East Otter Tail County Fairgrounds contact the East Otter Tail County Fair Board 218-346- 4383 or 218-346- 2750. Perham’s ice skating facility is located south of the Perham Area Community Center by the High School Football Field. A warming house is available with an attendant during posted open hours. The ice rink is usually open by late December. For more information contact the Perham Area Community Center at 218-346- 7222 (PACC). Krauss Park is located between Eight and Sixth Street SW and Fourth and Fifth Avenue SW on the South West side of Perham. It is a large grassy block that contains plenty of play area, playground equipment, a picnic area and flower gardens. Kowabunga Skate and Bike Park is located just south of the softball fields along Country Highway 51 in Perham. The park was completed in June of 2010. The facility features a 50x100ft concrete pad and the following American Ramp Company pieces: Quarter pipe, bank ramp, pyramid with a 4 stair and small-scale handrail, hubba ledge, fun box, and 6ft round rail. Library Park is located on 3rd St NE between the Perham Public Library and the East Otter Tail Historical Museum on the northeast side of Perham. It contains a sand area, slides, swings and a merry-go- round. NP Park is located on West Main Street next to the Post Office. It was named for the Northern Pacific Depot that was located just behind the park at one time. The park contains a large turtle with a slide and lion drinking fountain for the young children. The park also has a central fountain, picnic tables and benches to enjoy the shade trees and flowerbeds. The park is located beyond the golf course, north of Perham on County Road 51. The park was named after a former Mayor of Perham. The park borders Little Pine Lake and has a great array of playground equipment, picnic areas, a swimming beach, a dock in the swimming area, a boat ramp and small fishing dock. The picnic areas include picnic tables and barbeque grates. A restroom/changing room building is also available. A large, covered public shelter is present for family gatherings, reunions or other get-togethers and is equipped with electricity. To reserve the picnic shelter, call the City of Perham at 218-346- 4455. Paul Miller Park is open May through October, 7am – 10pm. The City Gun Range is located 1/2 mile south of Perham on State Highway 78, and then 1/2 mile down the first tarred road to the east. The range has three separate firing ranges- 75 yards, 50 yards, and 25 yards, with two shooting stations located at each. Also available is a clay pigeon range with a stationary pigeon thrower. The range is open from 8:00 AM to dusk and is monitored by the Perham Police Department. Large and small caliber rifles, handguns, and shotguns may be used at the gun range. The City does not allow the use of glass or metal targets. In the month before the opening of deer hunting season, Police Reserve Officers are often on location to offer assistance. Highway 78. 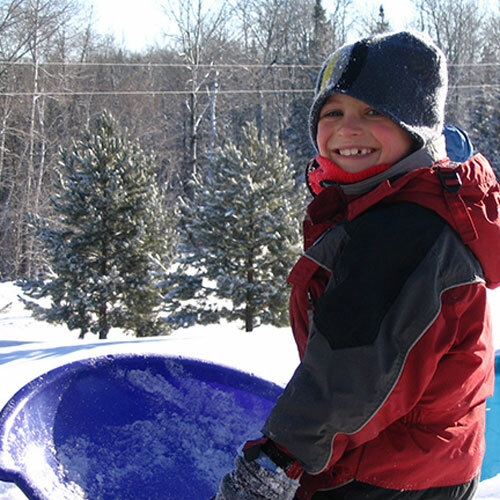 The area is open November 1 to May 1 for sledding with small sleds. A project of Perham Foundation and Perham Rotary, a Dog Park is available for pets in Arvig Park. The park is conveniently located by the Bike Path surrounding Lakeside Golf Course and Arvig Park, and right off Highway 8 that heads north of Perham. The dog park is a place to let dogs run free from a leash and play with other dogs. The park includes fencing to keep pets in, shelter, picnic tables, and a water fountain for humans and dogs.